Now one of our associates, with a specialism in digital and live production, Andi started at the hub many years ago as an intern, moving on to become our projects assistant and then operations manager. He’s played pivotal roles in many of our creative projects, including Fertilizer and Phrased & Confused, as well as steering the good ship hub for several years. These days he gets stuck in on plotting projects in our hub lab, and providing digital expertise to all aspects of our operation. All that aside, Andi Studer also leads the web development team at the environment and business data start-up company amee. Having introduced the agile development framework Scrum, he acts as scrum master while also contributing code – mostly Ruby on Rails. 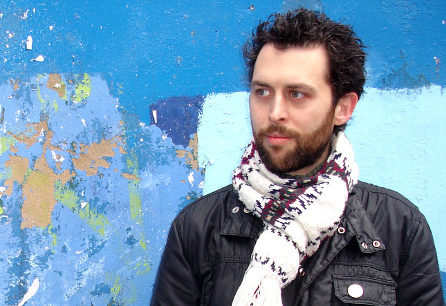 In 2006, Andi founded the Netaudio London festival. After two festivals (2006 and 2008), Andi set up the community interest company Cenatus with Matt Spendlove. Together and with a wider network of like-minded people, they went on to produce the 3rd and so far final issue of the Netaudio London festival in 2011. By developing Netaudio London, Andi realised his dream of producing a music festival focused on new music, sound art and creativity enabled by Internet technologies. During 2009, Andi Studer participated in the New Music Plus… produced development progamme, developed by the PRS Foundation in association with the hub. As part of this programme, Andi worked with the Serpentine Gallery on a series of music events. Andi is an Advisor to the PRS for Music Foundation.